Good Deed Or PR Stunt? It’s great to be recognised for your good deeds. Whether it is helping an ah ma cross the road or picking up litter – we all like to hear “thank you”. Sometimes, though, we need to ask: Do we do kind deeds out of sincerity or for our own personal agendas? 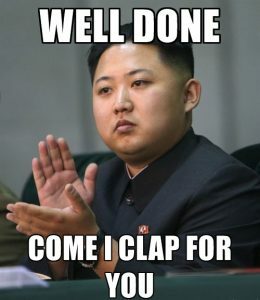 Take Dr Koh Poh Koon, for example. 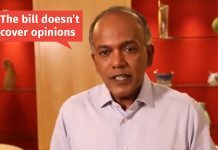 The Minister of State for the Ministry of National Development & Ministry of Trade and Industry posted on his Facebook page on Wednesday (Jan 11) about his encounter with a 70-year-old lady he called Mdm Lim. In his post, he manages to commend himself for saving the damsel in distress, saying, “good thing we ran into her and helped her with the load”. 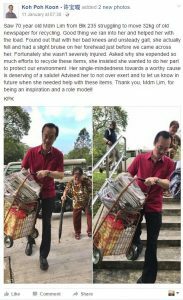 To drive home the point, he graciously provides two photos of the scene, in which he is seen helping Mdm Lim carry her 32kg worth of recyclables. 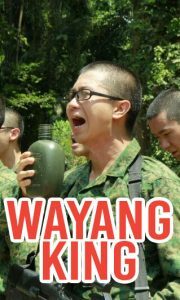 Notice how he occupies three-quarters of these high-definition photos, while Mdm Lim is relegated to the corner, obviously being the focal point. 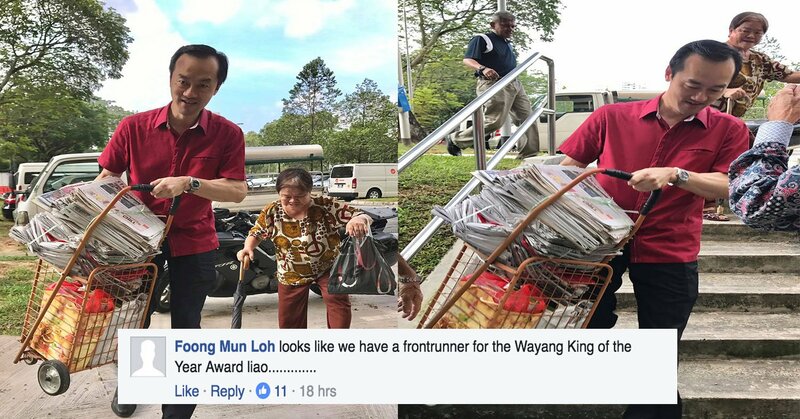 Dr Koh’s post was flooded with Facebook comments, almost as bad as the flooding in Punggol East he helped to clear in 2013. 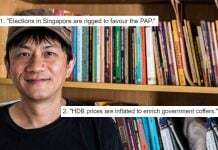 We know being a politician means self-promotion to a certain extent, but perhaps Dr Koh should be more subtle about it next time. And good luck trying to delete all of these comments.